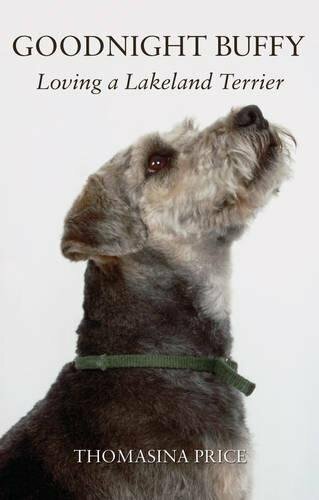 Synopsis: This story is about a remarkable Lakeland Terrier called Buffy who fought many illnesses, including a rare cancer. You will laugh out loud, cry softly and fondly remember her story long after reading it. It is a light-hearted look at her life, covering her early days and continuing until her eventual death. Found in a shop doorway, Buffy had a traumatic beginning. The young girl who found her and took her in died of cancer, and so Buffy came to Thomasina, and was loved and cared for until her death. She was infuriating and inspiring, funny and cunning, from being smart enough to use her surgical collar as a scoop, to learning to use a 'boo!' sort of 'woof! ', to frighten the living daylights of a delivery man. Thomasina's own failing health meant that sometimes they were ill together; Buffy taught her to fight back and gave her a reason to carry on. A rare cancer was found in Buffy's leg when she was already suffering from a slipped disc. To save Buffy, they had to save her leg. The Animal Health Trust in Suffolk helped Buffy survive with some international help, but she took the record for recovery time. So many people loved Buffy; she touched so many lives. Buffy went on to live for many years and became an astonishing and astute dog. She gave the Price family so much joy and love, her passing left an unbearable void in their lives. This story records her passing and Thomasina's anguish at the time. She decided to share her story because there could only be one Buffy; the Price family know they will never find another dog like her again. Goodnight Buffy: Loving a Lakeland Terrier will appeal to animal lovers, particularly dog fans, and anyone coming to terms with bereavement. About the Author&colon; Thomasina Price was born in Birmingham and spent part of her childhood in Scotland. She loves dogs and has owned many, including some she has rescued. Thomasina enjoys reading history and local travel. She is currently working on a new book to include some of her past dogs.